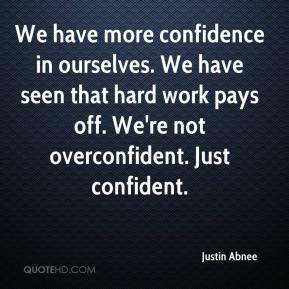 We have more confidence in ourselves. We have seen that hard work pays off. We're not overconfident. Just confident. We've done a good job taking it one game at a time. 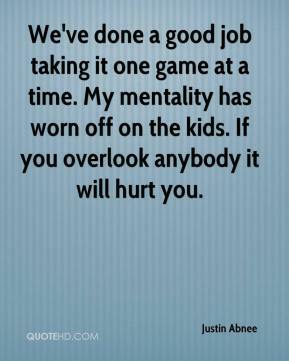 My mentality has worn off on the kids. If you overlook anybody it will hurt you.